The best of plans can be undermined by the weather as young Piccadilly learned first-hand one day when the rain “jumbled and tumbled from the sky”. Saddened by the weather which threatened to thwart her outdoor plans, her spirits were buoyed when her brother reminded her that even raindrops deserve to go outside and play on occasion. So, with a fresh outlook, Piccadilly decided to embrace the weather and “be a raindrop” for a day. And when she did, she learned that with the right frame of mind even rainy days can be fun. Lisa Anne Novelline’s Piccadilly and the Jolly Raindrops, is an absolute joy to read and to behold. Novelline exhibits rare talent as she weaves words and builds worlds of enchantment which will delight readers of all ages. With charming and expressive illustrations by Nicola Hwang, this picture book is sure to become a favorite with parents and children alike. 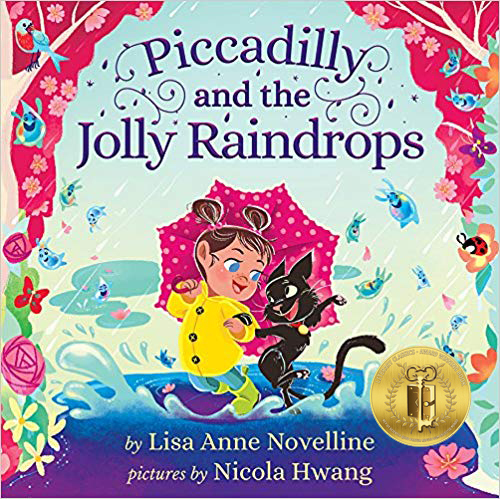 Recommended for home and school libraries, Piccadilly and the Jolly Raindrops has earned the Literary Classics Seal of Approval.